Three days after the U.K. said it was expelling 23 Russian diplomats over the poisoning of a former Russian double agent on U.K. soil, Russia says it’s responding in kind, by kicking out 23 U.K. diplomats currently in Moscow. The Russian Ministry of Foreign Affairs said in a statement Saturday that 23 British diplomats are “persona non grata” and must leave the country within a week. The Russian ministry also said it was ordering the British Council in Russia to cease operation and that a British consulate in St. Petersburg would not reopen. 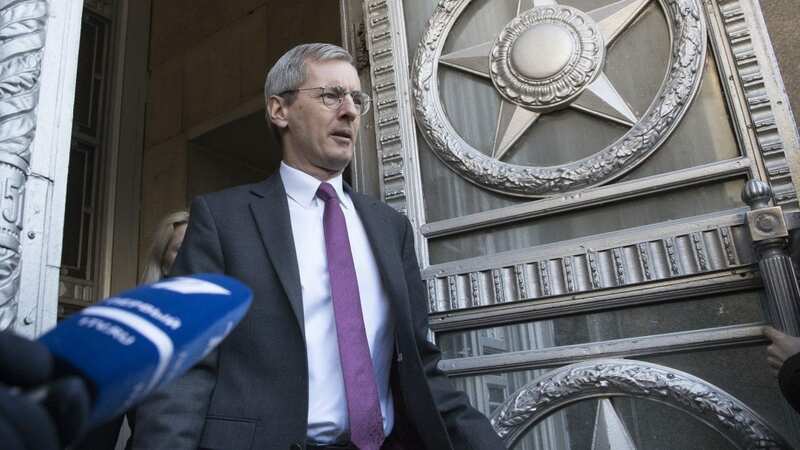 The announcement came after the British ambassador to Russia, Laurie Bristow, was summoned to the foreign ministry in Moscow. Bristow told reporters: “We will always do what is necessary to defend ourselves, our allies and our values against an attack of this sort, which is an attack not only on the United Kingdom, but upon the international rules-based system on which all countries, including Russia, depend for their safety and security,” according to The Associated Press. The diplomatic standoff started with the poisoning of former Russian double agent Sergei Skripal and his daughter, Yulia, in Salisbury, England on March 4. They remain in critical condition. A Cold War-era nerve agent of a group called Novichok was used, according to British Prime Minister Theresa May. U.K. Foreign Minister Boris Johnson said it was the first instance of nerve agents being used in Europe since World War II. Experts say Russia is the only-known maker of Novichok. On Wednesday, May called the attack a “barbaric act” and announced retaliatory measures including: the expulsion of 23 Russian diplomats she called “undeclared intelligence officers”; uninviting Russian Foreign Minister Sergey Lavrov to visit the U.K.; freezing certain Russian government assets in the U.K.; and suspending “high-level” diplomatic contacts. Russia has called the charges “groundless accusations” and says British authorities have refused to provide samples of the nerve agent used.